Another new smartphone from Vivo was officially unveiled today. This time around it’s a low-end dual SIM smartphone and we have all the gen on the Vivo Y53 price announced at launch. Its specs may be nothing to get too excited about. However, not everyone wants an all-singing, all-dancing smartphone so there could still be some demand. 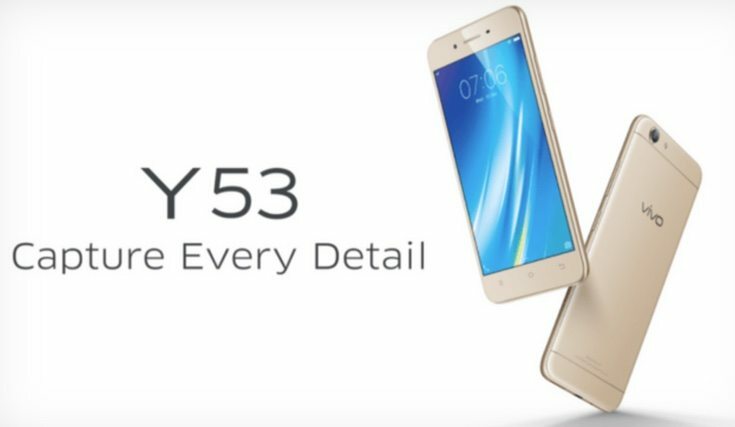 The Vivo Y53 4G smartphone has so far launched in Malaysia. It’s expected to release soon in other markets including India, Indonesia, Myanmar, Thailand, Vietnam, and the Philippines. It may also launch for further countries but there’s no news on this just yet. The Vivo Y53 price in Malaysia is MYR 699. As an indicator that’s equivalent to around $157, £126, or Rs. 10,500 although pricing can vary by market. The phone has a unibody metal build and is offered in Crown Gold and Space Gray color choices. The handset weighs 137g and measures 144.2mm x 71.4mm x 7.64mm. It’s not a bad-looking smartphone but it’s also not a particularly cheap option considering the specifications. Vivo Y53 specs include a 1.4GHz Snapdragon 425 quad-core processor, Adreno 308 graphics, and a 5-inch display with lowly resolution of 960 x 540. There’s 2GB of RAM and 16GB of internal memory that’s expandable via microSD to 256GB. Further specs include an 8-megapixel camera at the rear with LED flash and f/2.0 aperture, as well as a 5-megapixel front-facing camera with f/2.2 aperture. The Vivo Y53 packs a 2,500 mAh battery (non-removable), which should be decent enough to keep the juice flowing considering its low-end specifications. Connectivity options include 4G VoLTE, WiFi, Bluetooth 4.2, GPS, and more. The phone runs Android 6.0 Marshmallow skinned with FunTouchOS 3.0. Unlike many other new smartphones from Chinese makers, this one does not feature a fingerprint sensor. As soon as we hear information on launches for further markets we’ll bring you the news. In the meantime we’d like to know if you think the newly announced Vivo Y53 price is competitive or not?